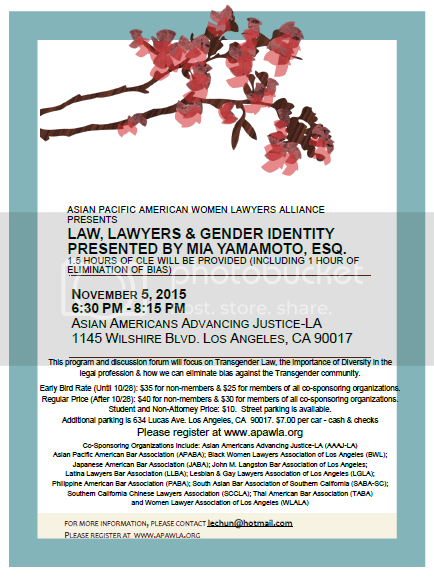 Presented by Mia Yamamoto, Esq. 1.5 Hours of CLE will be provided (including 1 hour of elimination of bias) pending approval. This program and discussion forum will focus on Transgender Law, the importance of Diversity in the legal profession and how we can eliminate bias against the Transgender community. Please purchase your seat through the button below. For more information, please contact lechun@hotmail.com.